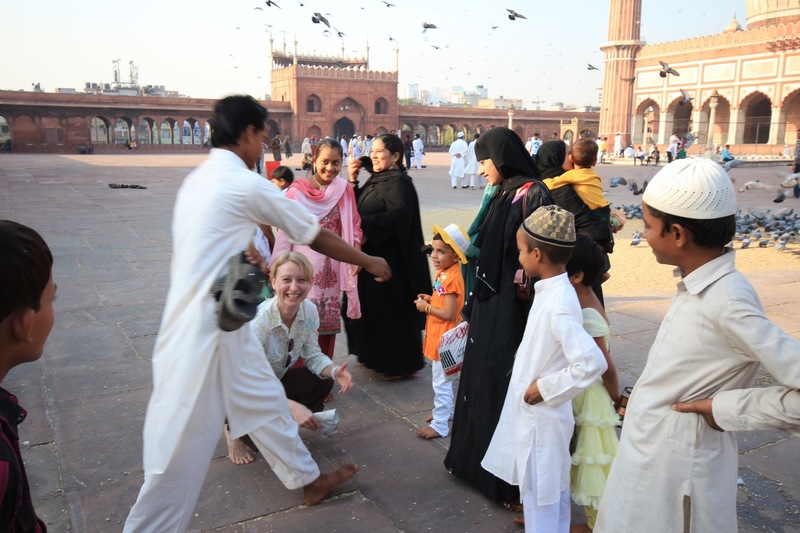 It isn’t uncommon for Kristi, with her fair skin and blonde hair, to attract a lot of attention in the Middle East and Asia. But today, we were both celebrities. And let me say, I like being loved by the masses. 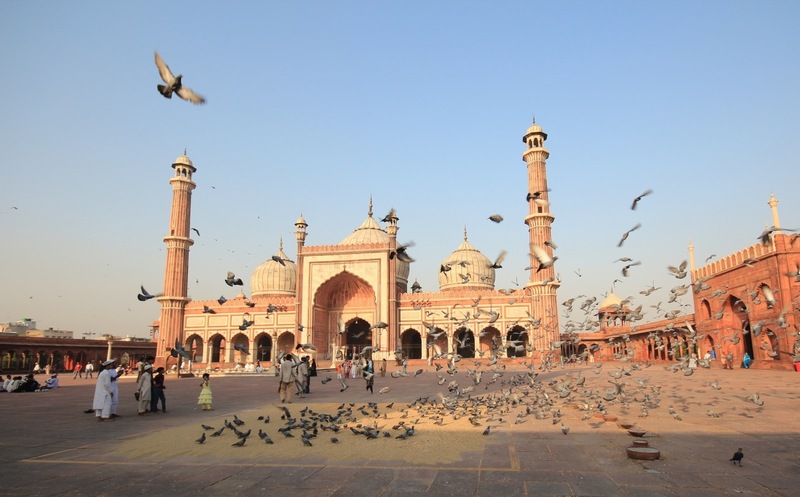 We went to the massive (space for 25,000 worshippers) and ancient (built in 1644) Jama Masjid mosque in Old Delhi and were the first tourists to arrive for the day. After looking around for a bit and shooting a few pictures, we were approached by about six young guys who wanted to take our photos. As if emboldened by the boys who broke the ice, within seconds a large group of families and older men and women surrounded us. They were all staring with childlike curiosity and wonderment. When we’d look back at them, the women would smile shyly and turn away while most of the guys just kept staring, fixated. Some men were wearing western clothes, some were wearing galabayas; some women wore Indian clothing, some had on head scarves, one lady had on a burqa. Some people stood about three feet from us and just stared at us, enthralled, like we were some sort of space creature. Others spoke with us using their limited English while others just spoke fluent Hindi at us even though we had no idea what they were saying. But mostly they took turns posing with us, getting their photos taken with the two foreigners. 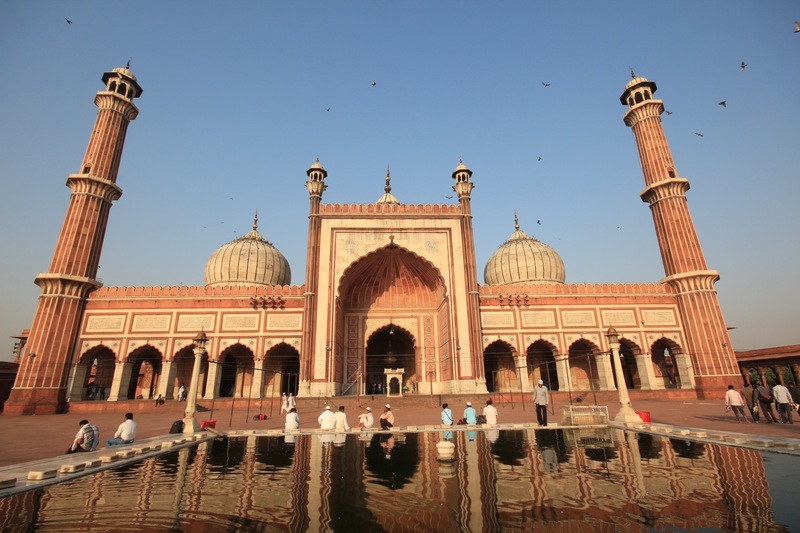 As we moved around the mosque, shooting photos and admiring the intricate and impressive architecture, we’d be approached by different people and always a crowd formed when we stopped for photos. Later we went to eat in Old Delhi. Our waiter plopped our plates on the table and just stared at Kristi from about two feet away. The restaurant was almost empty and our waiter had little else to to besides gawk at us while we ate, which was a little weird. “The waiter finally smiled at me, now he is just staring,” Kristi said. I hope a similar experience happens again because I don’t know how I will adjust to being just a regular person after this. Have you been a celebrity before during your travels? We’ll make sure to stare at both of you when you return to Alaska and treat you like the rock stars you are! Thanks Kevin, we may need it. 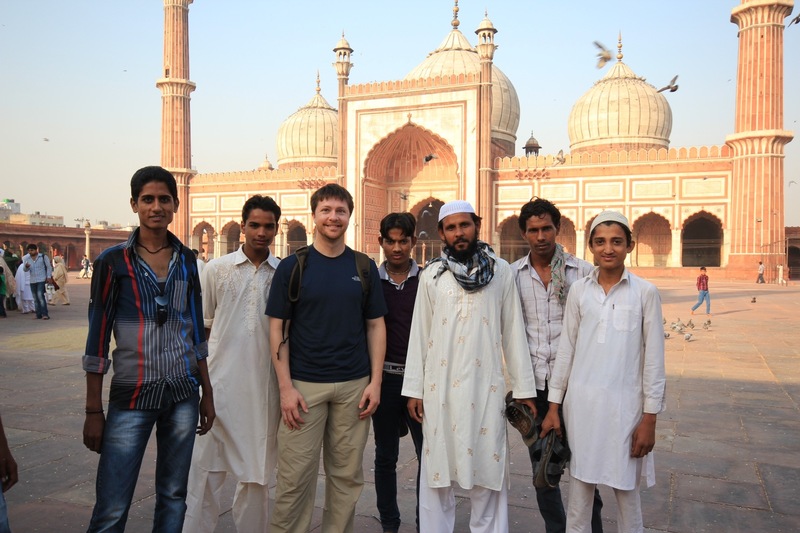 We had our picture taken at the Taj Mahal today by tons of Indians. The best part of it is we get pictures of them and with them also. It is interesting to see how much more attention my blonde wife gets than me. I don’t know if it is the hair or that she is a girl. Thanks for describing a nice article, because it is a great tourism destination for tourism.